Watching Game of Thrones? 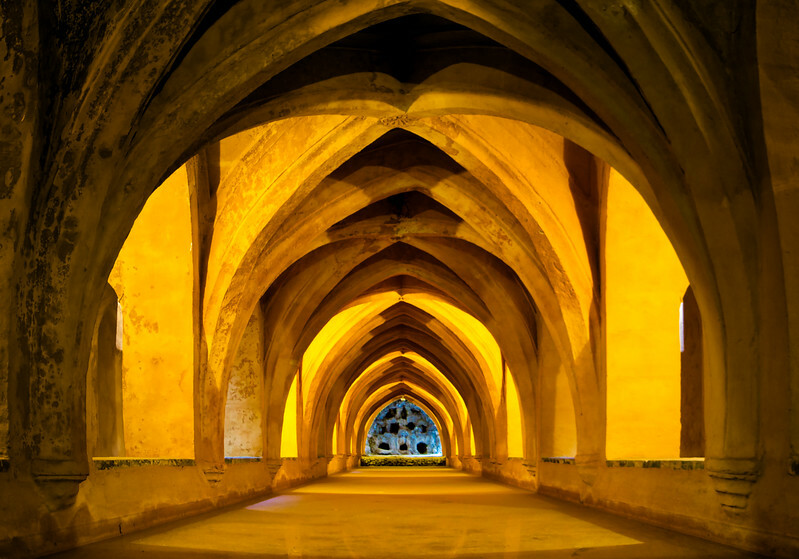 This image has been taken in Alcazar, an Arabic looking structure in Seville, Spain. This place, in particular, is called The Baths of Maria De Padilla and you have to do some searching to find it within this massive palace like place. I have a friend who lives in Seville - he said that back in the days before Game of Thrones, he would meet up with his school friends and they would spend a day within Alcazar to relax. After the series, the place had become crazy popular with tourists, so bad that one might have to queue for several hours if tickets are not bought online. It was still worth to see the amazing architecture!